Crimes can range from theft to homicide in major type of cases. However, a person can commit a federal crime which will haunt the individual with a felony record. For example, a person experiencing a conflict of interest in a company, failure to pay child support, voting without having proper legal documents, portraying as a law enforcement officer, committing a minor crime in federal government property, not properly filing a federal income tax, and so forth. Without having a full knowledge of federal laws, it can be easily duped for a law-abiding citizen to commit a federal crime resulting in a prison for many years. According to a Bureau of Justice Statistics (BJS) report conducted in 2016, the United States alone held nearly 1.5 million prisoners. While this number might seem extreme, it’s actually a decrease from 2.2 million in 2013 . However, the prison conditions in most states have yet to improve when it comes to the number of staff workers, sanitation issues, and budget spendings. In 1998, more than 1.7 million people were either in prison or in jail resulting in approximately one in every 117 adult males incarcerated. Overcrowding inmates advanced the deterioration of prison conditions where it reflected the number of inmates injured in fights, medical emergencies without proper treatment, and increase number of escapees . From the 1970s to 1990s, the prison population in the U.S. reached its peak point when the government proclaimed a “War on Drugs.”  The Marshall Project, a nonprofit organization that investigates the failure of criminal justice system, reported that in 2010 an average of 175 percent over capacity existed in correctional facilities and inmate suicide rate was 80% higher than the national average . After implementing criminal justice reforms in recent years throughout the state, corrections budgets increased imperceptibly developing estimate amount of 3.1 percent of state spending . Inmates fear prison gangs which have lead to death in many cases . Violence in a correctional facility may have a direct effect in criminal justice reforms. 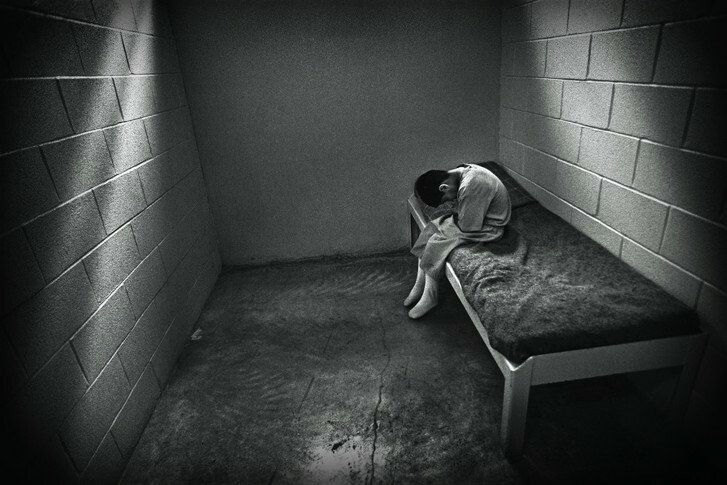 The punishment phase during the “War on Drugs,” in the 1970s have forced prisoners to be placed in facilities for more than 10 years resulting in overcrowding environment. For example, Vaughn prison was built to maintain 441 inmates but has been renovated to hold at least 2600 . The primary duty for correctional officers is to enforce laws and maintain orders in prison. Another duty for these officers to make sure that they document and keep accurate records. When there is a lack of staff, the officer has only a few options. According to the Prison Index, the state of Texas is one of the few states that fail to pay prisoners . Also, Texas doesn’t have a Union that can support these type of groups. Therefore, union workers, or non-profit organizations, do not have the necessary capability to change the prison conditions. The vendetta in this debate is who should operate the U.S. prison system: the private prison vs. public prison? Government fails to comply with the inspector general’s guidance on maintaining professionalism and have abused government power. Government for the past 10 years has not tackled the core issues in the prison system. By turning the prison into privatization legal matters will become more complex, specifically in legislation. Private companies may create a monopoly by turning the prison system as monetary assets. In 2013, United States Attorney’s Office (USAO) and Homeland Security Investigation Special Agent in Charge (HSI-SAC) announced that fourteen former Texas Department of Criminal Justice correctional officers pleaded guilty in racketeering case . This case led to stricter inspection within the correctional officers and its department. With the recent immigration crackdowns under the Trump Administration, private prison industries have gained a significant amount of revenues. In fact, private prison companies like GEO Group and Corrections Corporations for America (CCA) earned more than $2 billion in 2016 and their stocks continue to rise . According to The Sentencing Project, the United States has the largest private prison population delineating 128,063 of 1,500,000 people in 2016 . The federal government and 27 states mobilized and operated for-profit and non-profit private prisons during 2016 but 8 states eliminated their use of private prisons as a result of concerns about safety and cost-cutting . In 2017, Attorney General Sessions withdrew an Obama-era initiative and terminated private prison contracts due to concern for federal correctional system’s ability “to meet future needs” . By having the private industries and for-profit prison companies take over the prison facilities will likely reduce taxes for taxpayers and bolster the prison conditions. Comparing to different countries like Germany and Netherlands, they have lower incarceration rates compared to the United States. The current privatization trend continues to decrease prisoner populations . Jung Seob "Scott" Kim graduated from the University of Texas at Arlington (UTA) with a Bachelor's Degree in Criminal Justice and minors in Political Science and Pre-law/History. During his undergraduate studies, he was selected as the first Jillian Smith Intern representing UTA to the Arlington Police Department and received federal internships such as U.S. Marshals Service and U.S. District Court. After graduating from college, he worked as a legal assistant in immigration at a corporate business immigration firm. He was also selected to participate in FBI Citizens Academy, Dallas County Sheriff's Department Citizens Academy, and Dallas County District Attorney's Citizens Academy. Currently, his key areas of interest are Digital Forensics, Cybercrimes, Counterintelligence, Counterterrorism, Criminal Investigations, International Relations, Global Affairs, and Statecraft, and as a Policy Corner writer with PVNN, he hopes to research and publish strong policy recommendations on these issues.